Dr. Moyal is at the cutting edge of new injection techniques to offer a variety of treatment choices for his patients. Can you tell us more about your career transition from specializing in Family Medicine to Emergency Medicine to Aesthetics? I have worked in Emergency Medicine and Family Medicine since graduating and recently became interested in esthetics as a means of doing more procedures and fine techniques. I also use my esthetic practice to balance out the often hectic environment of the Emergency Department with the quiet, serene environment of my office. What do you think about new aesthetic technologies gaining acceptance in Canada? In Canada there is Health Canada but despite this, there are many cosmetic machines that are sold and offered on the market without the knowledge of this agency. Customers are often duped by savvy sales people. We can see that you are associated with other clinics. How have you worked that out? The association with other aesthetic clinics is a limited partnership for injections of Botox and dermal fillers. We are associated for those services only and it complements the products and services that they offer such as cosmetic products and spa related services such as facials, oxygen therapy IPL skin tightening and treatment of pigmented lesions or rosacea. What have you learned about staffing? I once had an employee who was very young and quite self-righteous. She was very concerned about her rights as an employee and less concerned about the other employees. When she became pregnant she had morning sickness so the manager made a big effort to re -work her schedule . We were all very considerate and flexible with her. At that time, my knowledge of the maternity leave and worker’s preventative withdrawal was limited. She exploited that by taking 2 extra weeks off. Upon her return from maternity leave she contacted the manager who promptly offered to integrate her into the schedule (as per the law here in Quebec). She and the manager promptly got into a catfight (by email) and she was fired that same day. She did go to the workman’s compensation board (called Comission des Normes du Travail) her in Québec. She was hoping to milk the situation but in the end she got only what she was entitled to as per the duration of her employment. Within a year I received a call from a prospective employer and referred her to the manager , needless to say the prospective employer was grateful for the candid information. I have an excellent staff and consider myself lucky. I look for passionate, dedicated and pleasant people to work with. I use base pay, commission, tips and periodic bonuses as a compensation model. I think this model helps motivate and reward employees for their hard work. Your website is in both French and English. Are you seeing an increase in medical tourism? My website is actually translated in English as I am located in Quebec where French is the official language. I do not see much medical tourism and certainly do not seek it out . It can happen that some people who are on vacation do come to the clinic because the timing is convenient. For many procedures that have to be repeated such as Botox and dermal fillers, a relationship of trust and understanding must develop with the physician and the client. I recommend that clients find themselves a local physician with whom they can develop that relationship. How do you market yourselves to patients and what do you do that your competitors aren't doing? Marketing medical esthetic services to clients is tricky as our ethical code in Quebec does not allow for the solicitation of a client/patient by a physician. We can inform people of the services we offer but can not incite patients to have a procedure done. This applies to injections of Botox, dermal fillers and other medical-surgical procedures. Treatments such as laser hair removal, IPL and other esthetic services not performed by a doctor can be marketed. Doctors may not sell, endorse or associate any product or brand to their name in Quebec. Are there any treatments or technologies that you're especially excited about that haven't hit the market yet? What do you think about new therapies like stem cells or others? I am excited about autologous fat transfers for restoration or augmentation and hair cloning for hair transplantation. As a physician it is wiser to offer services that are exclusive to our profession such as injections or surgical procedures. It is difficult to compete in a market where anyone can offer the same services. For example in Quebec anyone can offer IPL , laser hair removal or tattoo removal but only doctors can inject. A doctor offering laser hair removal in his clinic can not compete with an esthetician doing so in her basement. That being said, at our clinic we offer Laser hair removal as some people want to go to a clinic where there is medical supervision but the majority do not place much value on that. The majority of our practice revolves around minimally invasive procedures such as injections of Botox and dermal fillers. I do not encourage physicians to invest heavily in machinery as the technologies are often overpriced and often underdeliver in terms of results. Many estheticians can obtain similar results (in most cases) with mechanical (low cost) treatments with less risky side effects compared to new technologies. Technology has its place but not as much as savvy salespeople would have you believe. The way to add new technologies is to introduce them into your practice based on the foreseeable demand from your own established clientele and the clienetele that you wish to attract. For example, your current clientele is between 45 to 65 years old doing BOTOX and dermal fillers regularly , the majority of your clients have sun damaged skin or pigmented lesions , they often ask if there is anything to be done. You should consider adding resurfacing technology or IPL at this point. If you are considering adding a new service then careful market research in the territory you serve is vital- do not take the salesman’s word for it that there will be people will be breaking down your door to try your newest machine and spend significant amounts of money. Where do you think cosmetic surgery will evolve? Will it be changed by technology? Do you see a time when plastic surgery is going to be replaced at least in part by nonsurgical technologies? Is this an opportunity or threat for plastic surgeons? Cosmetic surgery is evolving rapidly. Surgery will always have its place and its clienetele. The advances in technology and techniques such as dermal fillers are allowing us to treat people a larger number of people at a younger age . People who are not yet candidates for surgery and people who do not want a surgery but want to improve their appearance is rapidly growing segment of the cosmetic market. It is also significantly increasing the overall demand for cosmetic procedures. A large number of people are now getting cosmetic procedures in their twenties (augmentation) and thirties (prevention and restoration). It allows people to look great well into their sixties without any surgery. The availability of minimally invasive procedures such as Botox, dermal fillers and resurfacing increases the desire for cosmetic procedures including surgical procedures. As people become comfortable with minor procedures such as dermal fillers they also become more comfortable with eventually having a surgical procedure when the minor procedures become insufficient for how they want to look. For example a 45 year old may get a Botox brow lift but may eventually need a surgical brow lift and blepharoplasty to maintain their appearance in their 50s. The demand for cosmetic procedures is also expanding due the growing demand from men who are now as equally motivated to maintain or improve their appearance and the acceptance of this by mainstream popular society. This is definitely an opportunity for plastic surgeons, ENT and opthalmologists to work together by establishing working relationships with other cosmetic physicians such as specialized injectors. Communication and information from surgeons on how to identify specific cosmetic issues that can best be treated with surgery,how and when to refer and sharing information on pre operative preparation and convalescence will allow clients to flow seamlessly between injectors and surgeons . This will allow those surgeons and physicians to benefit from the rapidly growing cosmetic market. What do you think that you do better than most other physicians that helps you to succeed? Develop a proper relationship with patients by not selling or pushing any treatment or procedure on a client. About: Dr. Moyal graduated from medical school at Laval University in Québec city and obtained his specialty in Family Medicine in 2000. In 2001 he pursued a subspecialty fellowship in Emergency Medicine from the College of Family Medicine of Canada at Mcgill University earning him the special designation CCFP-EM. 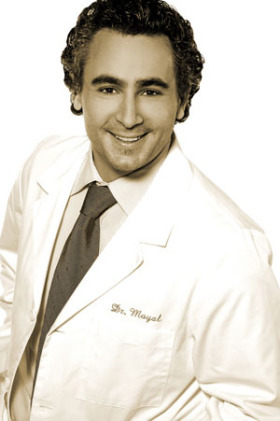 Early in his training Dr. Moyal developed a particular interest for fine emergency techniques such as spinal taps, placement of central lines, wound repair, articular injections and aspirations. Following this interest for fine techniques Dr. Moyal followed specialised courses in esthetics for Botox injections and of dermal fillers for the restoration of volume loss. He also completed his training in varicose vein injection. 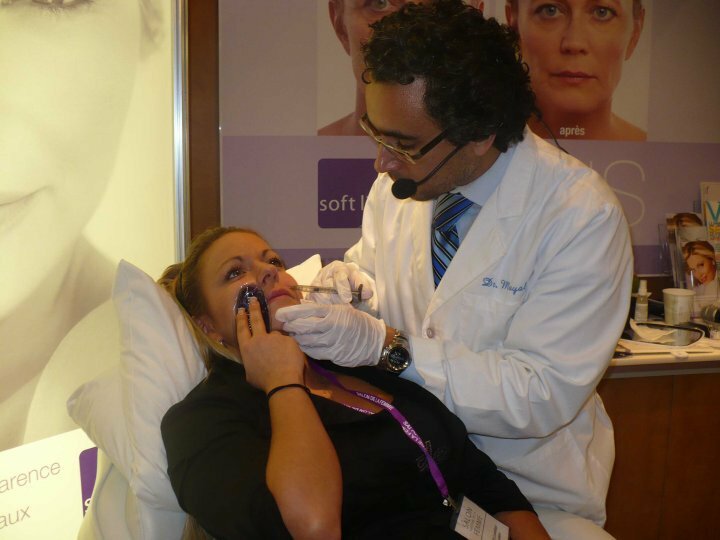 Dr. Moyal regularly attends conferences of the Canadian Association of Esthetic Medicine (CAAM) as well as numerous workshops and conferences offered by esthetic companies such as Allergan producers of Botox and Juvéderm, Medicis makers of Restylane & Dysport and Teoxane the makers of Teosyal.